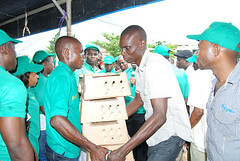 The product exhibition which had over 400 youths and beneficiaries of the State Government’s job and wealth creation programmes in attendance attracted Deltans from all walks of life, financial organizations, development partners, Chambers of Commerce, corporate organizations, non-governmental organizations and business men and women. 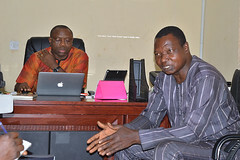 He said investment in Micro, Small and Medium Scale Enterprises (MSMEs) through the Delta State job creation programmes is the best way out of poverty and youth unemployment and hopes to continue with the scheme in spite of the down-turn in the economic fortunes of the state. 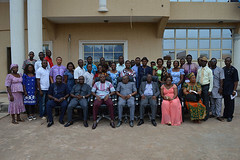 He said the flagship of the STEP and YAGEP has helped the state to achieve what many thought was unthinkable with over 2, 000 youths gainfully employed. 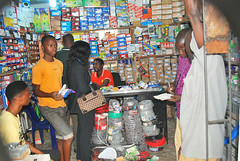 “After two programme cycles, 2,324 previously unemployed youths are now small business owners and employers of labour,” he enthused. The Governor commended the Office of the Chief Job Creation Officer for organizing the products exhibition and business fair, pointing out that the beneficiaries were trained and given standardized starter packs to begin their enterprises in Fashion Design & Tailoring; Electrical Installation & Repairs; ICT Services, Audio-Visual Technology; Hairdressing & Makeover; Decoration & Event Management; Catering & Confectionery; Cosmetology; Craft/Homecare Products; Shoe-Making; Upholstery; Welding & Fabrication, Barbing and in building services such as Tiling, POP, Interlocking, Plumbing and Block Moulding. Others are Aquaculture; Piggery; Poultry; Crop Production and Piggery. 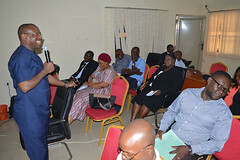 He added that to underscore the essence of the exhibition and business fair, the Office of the Chief Job Creation Officer duly engaged and paid for the services of STEPreneurs in the execution of various aspects of the exhibition which included venue utilities, electricity connections, audio-visual facilities and refreshment items. 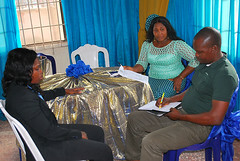 Responding, Francess Enyi a Poultry Farmer and Sophia Omore, a Cosmetologist expressed their delight in being part of the products exhibition and business fair. They expressed their gratitude to the State Government for giving them the opportunity to market their products and enterprises to the world. The exhibition was witnessed by the Governor of Sokoto State, Alhaji Amino Tambulwa, the former Governor of Delta State, Chief James Ibori among other dignitaries.